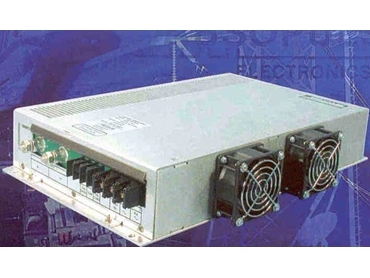 Amtex Electronics has developed a 2000W power supply that can be custom designed for any output voltage ranging from 24V to 60V DC. The HBLF series embodies a 2 kW power supply that can be customised in small quantities (as little as two or three units) rather than the several thousand that is normally expected at a commercial level. The unit has overload protection, thermal shutdown, and many other protection features as standard. The HBLF series medium power, COTS power supply can be provided with options including isolation diode for n+1 redundancy. Few other COTS products are supplied with the HBLF series. Other options available include various alarms and conformal coating of PCBs to resist moisture and high humidity, and the unit overall has a high level of ruggedisation.